A PERSON diagnosed with Frontotemporal Dementia became obsessed with winning a car, so he spent nearly $700,000 with Publisher's Clearing House before his family realized what had happened. Another, who had become preoccupied with car suspensions, rocked every vehicle he saw until the alarms sounded, never understanding that others might find this disruptive. Yet another felt perfectly justified in turning to prostitution to finance her affinity for butterscotch candies and cigarettes. Uninhibited spending and loss of judgment are typical components of the degenerative brain disease that attacks slowly and yields devastating results, often stripping patients of language skills and inciting behavior so bizarre, destructive and unpredictable that they're frequently misdiagnosed with psychiatric disorders. Frontotemporal Dementia, or FTD, is not everyday terminology -- yet. But it's on the periphery of public awareness the way Alzheimer's disease was 20 years ago. Among those afflicted with some version of the disorder is Dr. Ed Cadman, who stepped down from his position as dean of the John A. Burns School of Medicine at the University of Hawaii early in 2005. The former chief of staff at Yale-New Haven Hospital disclosed that he had been suffering from Primary Progressive Aphasia, a generally recognized subtype of FTD that begins with language problems. He said publicly that his symptoms began in early 2003. Experts regard FTD as the second most prevalent cause of dementia in patients under 65. Alzheimer's, which affects 4.5 million people in the United States, causes 60 percent of dementias. But FTD strikes otherwise healthy individuals in their 40s, 50s and early 60s, often at the peak of their earning power and while they are raising children. In addition, symptoms may vary enough that casual acquaintances and workmates underestimate the severity of the illness. But that's not true for those who live with the patient. "With FTD, we see families in major crisis," said Geri Hall, a clinical professor at the University of Iowa College of Nursing and an advance-practice nurse who has worked with hundreds of FTD patients since 1978. "The problem is that the patient has not been determined to be incompetent, and nobody wants to take away the autonomy of someone who is not impaired. So the caregiver is constantly being barraged by negative restrictive feedback that he is trying to limit this competent person. It's like swimming in one of those endless pools." THE QUEST to understand the cause of the illness and raise awareness about the variety of its manifestations drove the curriculum of the fifth annual International Conference on Frontotemporal Dementias in San Francisco earlier this month. Approximately 400 physicians, research scientists and caregivers attended the three-day meeting led by neurologist Bruce Miller, director of the Memory and Aging Center at the University of California, San Francisco. One barrier to public knowledge about FTD is that it can't be reduced to "10 early warning signs," like Alzheimer's. Though many similarities exist, the key difference is that FTD patients display no real memory loss. Results of intelligence tests remain normal for a long time, and patients with unimpaired motor control "can be very athletic late into the disease," said Hall. Over time the illness attacks the frontal lobe and anterior temporal lobes, eliciting a wide array of symptoms relating to mood and irritability, decision-making, speaking and writing proficiency, ability to manage finances, impulse control and empathy for others. Delusions and paranoia also may be present. And patients can become apathetic or highly aggressive -- verbally, physically or sexually. Their lack of judgment makes them unable to recognize consequences of behavior or appreciate threats to their safety -- or the safety of others. Complicating matters even further, "people with FTD remain clever and very often develop sort of ingenious ways of getting around obstacles," said Hall, who has worked extensively at the Mayo Clinic in Scottsdale, Ariz. If a patient has become an unsafe driver and a relative disables the car, the patient will find a way to get it working. If the car is removed, he'll try to buy another. If debt at home or at the office begins to run high, he'll have an almost logical excuse. It's not uncommon for the patient to accuse a loved one of wrongdoing or limit communication between doctors and family members in ongoing attempts to retain autonomy. Yet on the surface, the FTD patient will appear to agree with everything a doctor tells him. "'Yes, someone in my condition shouldn't drive,'" mimics Hall. "But in five minutes, they're back in the car. The family doesn't have any say with these patients." And proving the patient's incompetence is nearly impossible if he can answer a few questions in a somewhat logical manner and act normally for a sustained period -- not difficult when behavioral anomalies appear only once a day or a few times a week. OF GREATEST concern is that FTD patients become more dangerous to themselves and others as time progresses. The real-life examples gleaned from nurses, doctors and interviews with caregivers differ in the details, but all contain common threads. When police stopped a 63-year-old former CEO driving 75 mph and crossing the center line to get to a JC Penney's sale, she felt her actions were perfectly appropriate. Still, she promised not to drive again, only to be arrested two weeks later when she caused an accident by using her car to push another when she got tired of waiting behind a funeral procession. She tried to pay cash to the other driver at the scene so family members wouldn't discover what had happened. Others, falling prey to the oral fixation common in the illness, ate things such as tea bags, candles and glass Christmas balls, or even their own bowel movements. And some, not knowing when to stop eating, consumed food to the point of bursting, exhibited in the form of violent projectile vomiting. "Their prefrontal cortex is damaged," Hall said. "So they make consistently poor judgments, and lose their sense of risk. The reasoning is gone." This is why the professional environment is loaded with moral and ethical complexities. "If I have a patient who's working, I want that patient out of that work place and on disability as quickly as possible," Hall said. Patients may behave inappropriately or simply be unable able to perform due to cognitive decline, leaving co-workers to pick up the slack. Then, because nobody understands the nature of the illness, "and the patient looks and sounds good," he may find himself fired without compensation. FTD throws families into chaos. Education about and acknowledgment of the illness's magnitude is essential for loved ones coping with devastating changes, experts say. And it's the only way that patients will receive the care they need. 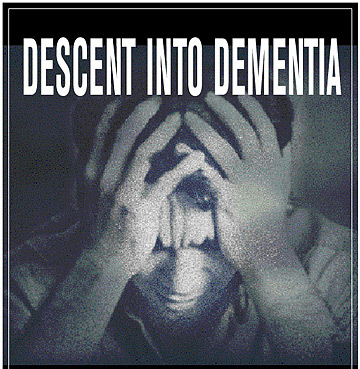 Staff writer Katherine Nichols is writing a book about Frontotemporal Dementia. Her interest stems from the effects the disease had on her family and her marriage to Dr. Ed Cadman, former dean of the John A. Burns School of Medicine.